Puns have often been called the lowest form of humour, but James Geary argues otherwise. Puns have often been called the lowest form of humour, but a New York Times bestselling author argues otherwise. 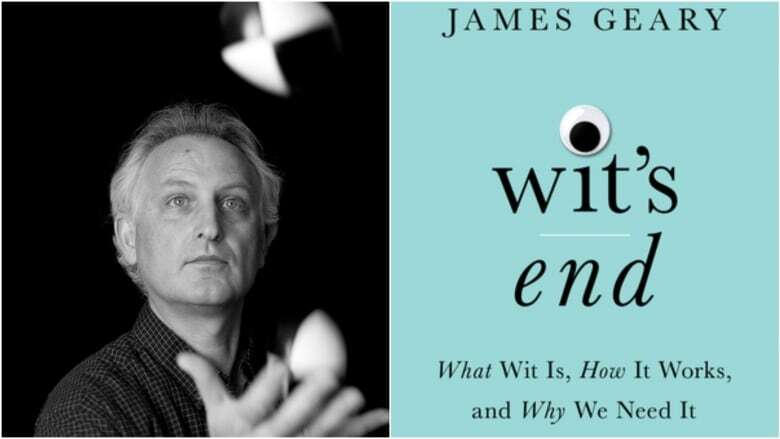 In his new book Wit's End, Boston writer James Geary says "puns point to the essence of all true wit — the ability to hold in the mind two different ideas about the same thing at the same time." An excerpt from the book was published this week in the Paris Review under the headline "In Defence of Puns." Here is part of Geary's conversation with As It Happens host Carol Off about the value and history of punning. James, you are a new national hero, or at least As It Happens thinks you are, defending puns. You know, we have an audience, some of whom just hate it. They actually will write us and say, "Please, please stop those stupid puns." And then another audience that says, "Oh we love your puns. We listen for the puns." Why is that? I've never understood why people look down on [puns] so much. I think it might be because maybe they think someone who's making a pun isn't taking them seriously or they're being glib or flippant or something like that. But for me, puns are the height of wit. I know everybody says puns are the lowest form of wit, but I think puns are the highest form of wit because they're an excellent example of making novel, surprising combinations from very, very different things and bringing them together and producing something fresh and delightful and, you know, joyful. Even if they elicit a groan, I think some of the worst puns are some of the best puns — because, typically, people are groaning because the comparison or the association between the two words is so strange. But that just shows a really nimble imagination at work, which I think is part of the essence of human creativity. Now, in your article in order to prove that, in fact, it is a high form of art, you went back and looked through history and you found some real punsters that might surprise people. We all talk about the Garden of Eden and how Eve ate the apple and gave it to Adam. But before ... the early Middle Ages, no one really knew what fruit Adam and Eve ate in that mythological story. In previous translations of the Bible, the tree had only been described not as an apple tree, but as the Tree of the Knowledge of Good and Evil. And Saint Jerome translated the Bible into a simpler form of Latin in the early Middle Ages, and in that form of Latin, the word "malum," which means "evil," also happens to mean "apple." So he put the word malum in there and suddenly it became an apple tree and suddenly Eve, after all these millennia, had eaten an apple. Really, he was just punning on the similarity between those two words. 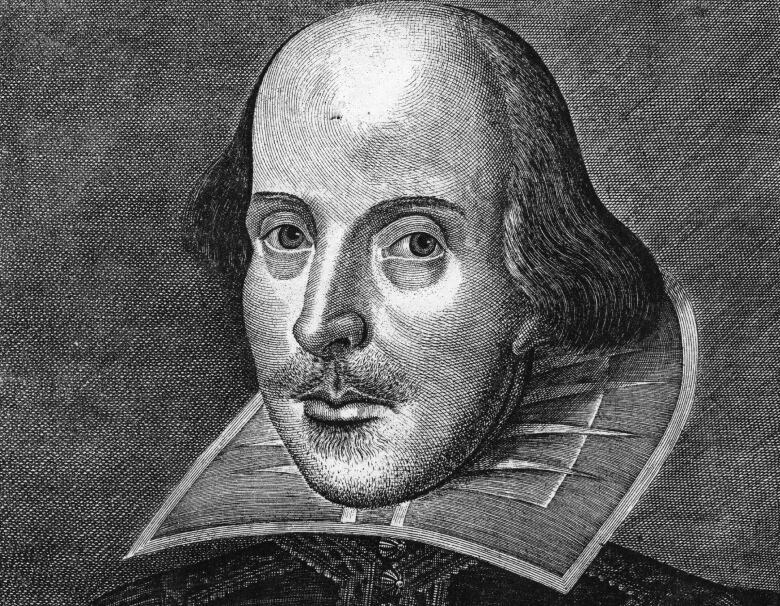 Shakespeare used puns because it's not only to make a joke, but it's actually a poetic device. And that's why I say puns really are a testament to human creativity and imagination, because when you make a pun, you're making a really sophisticated comparison between two things that are not alike. You talk about Shakespeare. I mean, often he used punnery in order to, I guess, say things that he couldn't perhaps get away — with especially about royalty. Yeah, and there's also all kinds of sexual innuendo that he works into his plays via puns. In Shakespeare's plays, the characters who were making the most puns are usually the fool or the clown character ... but actually, those characters turn out to be the wittiest and the most clever characters in the play. People are always talking about ... Uncle Harry, or whatever, and his groaners, and Dad will always come up with some pun, and you're always like, "Oh, Dad." It is, at times, quite a low form of humour, isn't it? The project of punning is never a lowly one, but I think, as with all good things, puns should be indulged in moderation. It can get tiresome — at least that's what my family tells me. Written by Sheena Goodyear. Produced by Ashley Mak. Q&A has been edited for length and clarity.